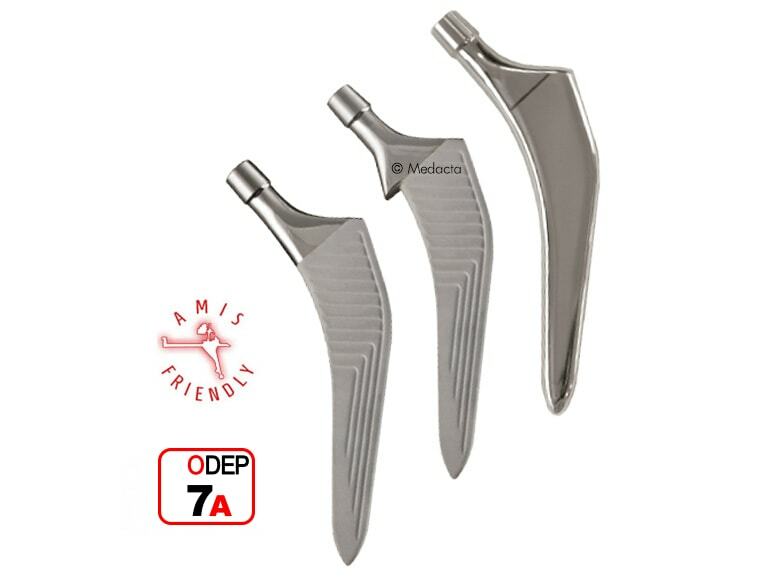 Femoral neck fracture and femoral head necrosis are surgical cases in which hemiarthroplasty is recommended as it seems inappropriate to replace an healthy acetabulum, that might result in subsequent bone loss and additional revision problems. 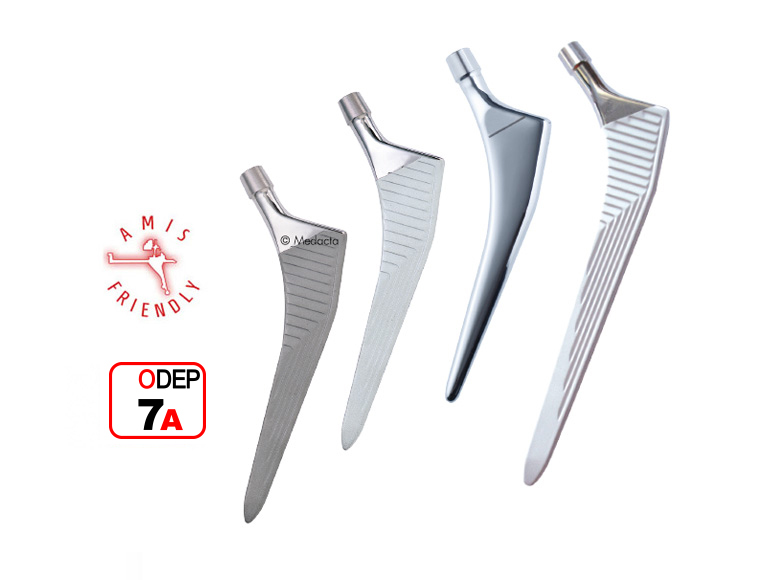 Furthermore, compared to the total hip replacement, hemiarthroplasty procedures involve shorter surgical times, lower medical and prosthesis costs. 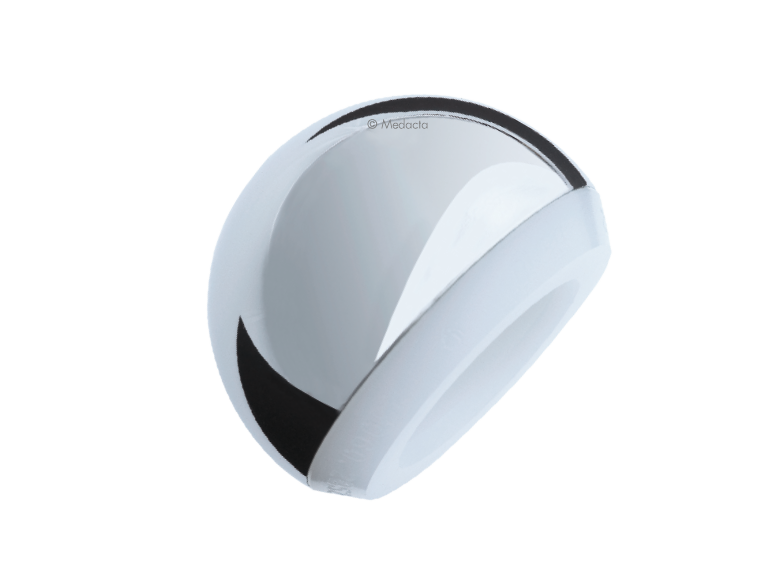 The Medacta Bipolar Head is a product suitable to perform hemiarthroplasty on any hip joint whose acetabular conditions are satisfactory. 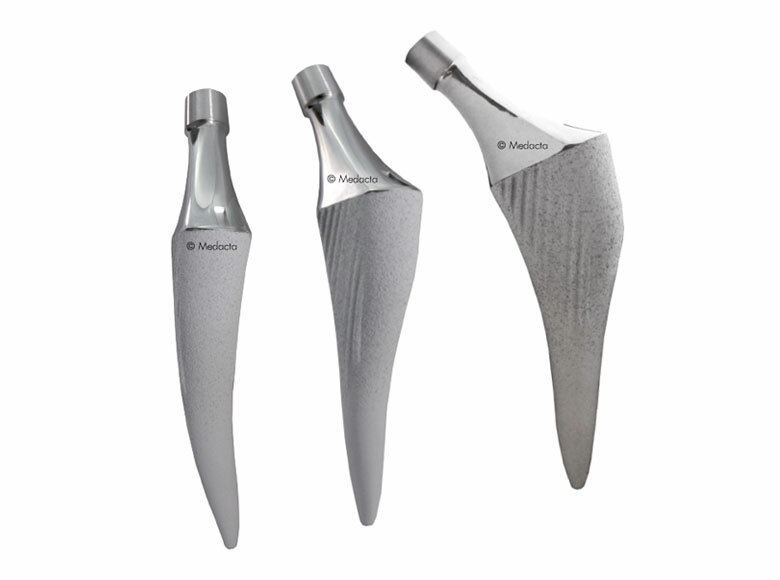 The Medacta Bipolar Head includes an outer shell made of stainless steel, designed to articulate directly in the patient's acetabulum, an inner Ultra High Molecular Weight Polyethylene (UHMWPE) bearing surface, in which articulates the prosthetic femoral head. The locking of the femoral head inside the bipolar head is easily achieved and assured thanks to an elastic internal retaining ring. 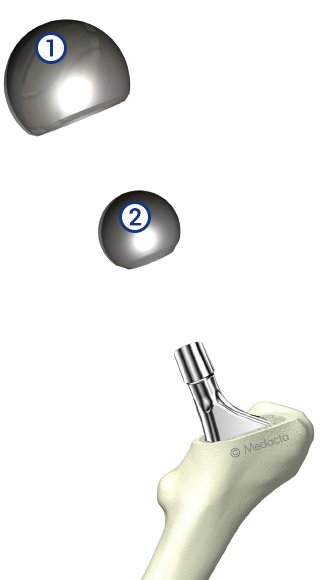 It is possible the change into a Total Primary Arthroplasty, without any damage to the head and the taper, simply removing the Medacta Bipolar Head. Bipolar Head is compatible with Ø 28mm heads, and it is available in 10 sizes from 42 to 60 mm with a 2 mm increment between sizes.